On March 15, 2019, the US Food and Drug Administration (FDA) issued a final guidance document on medical devices using materials derived from animals. This documents intends to help manufacturers establish relevant procedures to lower the overall risk of infection which could be caused by animal-derived materials in medical devices. This guidance is an update, and final version of the document published on November 6, 1998 and draft guidance document published on January 23, 2014. This final guidance document is not in any way binding and offers only guidance, presented from the recommended FDA’s point of view. What is the Purpose of the Guidance? The final guidance document clarifies concerns brought during the 2014 draft’s comment period. In addition, it addresses a broader spectrum of viral pathogens and transmissible spongiform encephalopathies (TSEs) that the guidance document issued in 1998. The 2019 final guidance document recommends for manufacturing, tissue collection, and sterilization control to conform with the ISO 22442 series of standards. “Used in concert with the ISO 22442 series of standards, this guidance is intended to help you identify the possible risks related to medical device components and/or manufacturing reagents that are sourced from animal tissues,” added FDA’s Center for Devices and Radiological Health (CDRH) in the final version on page two. This guidance document clarifies the aspect of preparing pre-market submissions and Quality System Regulation (QSR) for medical devices using animal-derived materials. However, manufacturers will not find it helpful in terms of in vitro diagnostic medical devices (IVDs) and HCT/Ps – materials that have been derived from human cells or tissues. On March 15, 2019, the FDA also issued a statement from Commissioner Scott Gottlieb and Jeff Shuren, Director of the Center for Devices and Radiological Health (CDRH), that addresses the safety of materials used in medical devices and discusses recent advances in materials science. The majority of patients previously implanted with medical devices experience no adverse reactions, according to the statement. “However, a growing body of evidence suggests that a small number of patients may have biological responses to certain types of materials in implantable or insertable devices,” Gottlieb and Shuren noted. The agency is specifically looking at implantable devices and materials that have already brought safety concerns in the past. These concerns include: metal-on-metal hip devices, silicone breast implants, and nitinol-based devices. 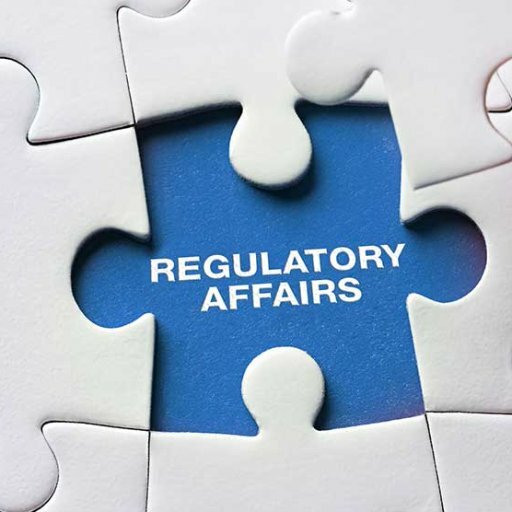 However, the statement also raised the issue of medical devices containing animal-derived materials with reference to the latest final guidance document published on March 15, 2019. “We’re also making efforts to improve the safety of devices made from animal-derived materials such as additives used on device coatings or heart valves made from pig tissue. We know that animal-derived materials may provide benefits over metal or synthetic materials because they can more closely match the biophysical properties of tissues within the human body. But these materials may carry a risk of transmitting infectious disease when improperly collected, stored, or manufactured,” said Gottlieb and Shuren. RegDesk(™) is a platform that is extremely useful in not only staying up to date on regulation changes, but also having the opportunity to talk to an RA expert from any country, and more! Even information released through Press Releases and in current news is something very important to stay on top of in order to predict changes that could come in regulations. By using our state-of-the-art platform, you will be able to see all of these changes happening real-time! To experience the power of RegDesk, get in touch with any of our representatives. U.S. Department of Health and Human Services, and FDA FDA. “Medical Devices Containing Materials Derived from Animal Sources (Except for In Vitro Diagnostic Devices) Guidance for Industry and Food and Drug Administration Staff.” Medical Devices Containing Materials Derived from Animal Sources (Except for In Vitro Diagnostic Devices) Guidance for Industry and Food and Drug Administration Staff, FDA, 2019, pp. 1–10. “Statement from FDA Commissioner Scott Gottlieb, M.D. and Jeff Shuren, M.D., Director of the Center for Devices and Radiological Health, on Efforts to Evaluate Materials in Medical Devices to Address Potential Safety Questions.” Fda.gov, 2019, www.fda.gov/NewsEvents/Newsroom/PressAnnouncements/ucm633602.htm.